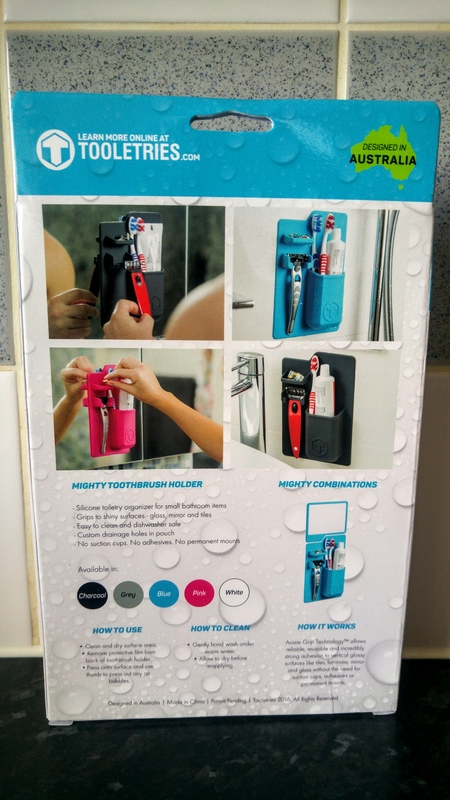 I’m reviewing The Mighty Toothbrush Holder and The Mighty Mirror from the Tooletries range after recently reviewed these Handy Hobby Holster’s. These are available to buy here along with plenty of other useful items! 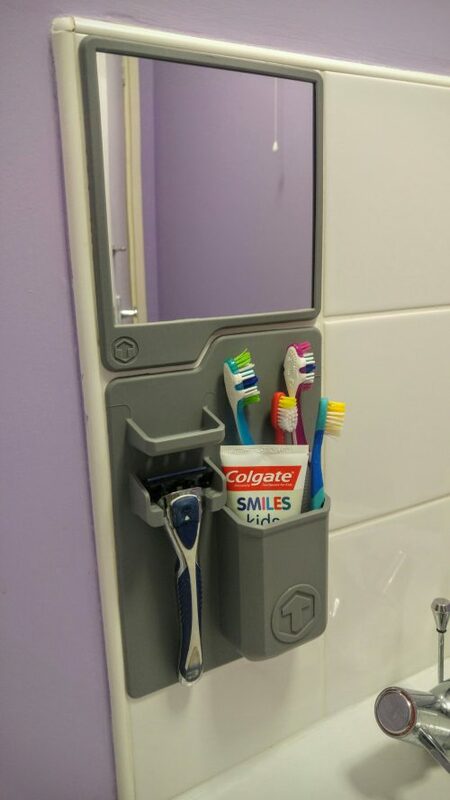 They are THE perfect solution for my small bathroom! Tooletries use Aussie Grip Technology so they stick to any smooth, dry surface such as bathroom tiles & mirrors. The silicone makes them so easy to clean. They really are handy for any bathroom. Having a place for everything and a little dish for jewellery or contacts is so handy. I love how easy it is to clean and thanks to the drainage holes my girls can no longer fill the holder up with water! It’s so easy to reposition and it frees up so much space. 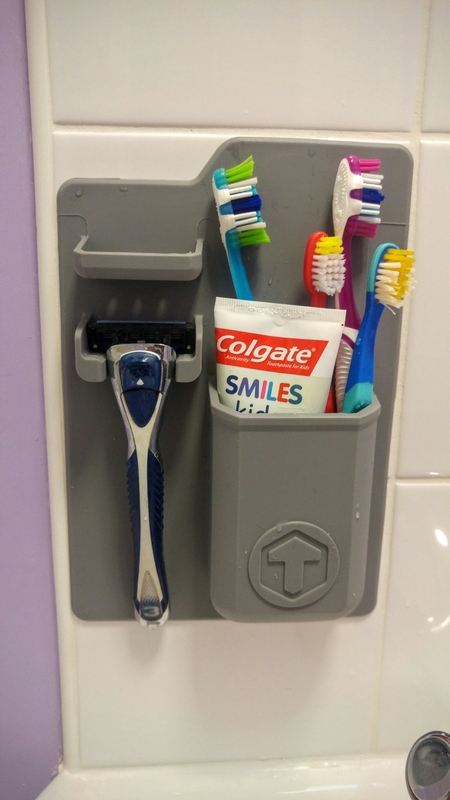 I was mighty impressed with the Mighty Toothbrush Holder. I honestly thought it would fall with everything in it but it’s held up perfectly. The Mighty Mirror is shatterproof, anti-fog.. I love that I can move it lower for the girls when needed and higher for us. The mirror is ideal for shaving where it can be moved around and stuck almost anywhere easily. Which colour would you go for? What do you think of Tooletries? Can you think of someone who’s bathroom could do with one of these? *I recieved these items for free in exchange for my honest review on them.